This site was launched on March 21, 2009 with support from the Mandolin Cafe. As a child of immigrant parents, Croatian was Ann's first language until starting school at St. John's. Growing up in a tight-knit ethnic family, her parents instilled in her a great appreciation for the music & culture of the motherland. Frequent visits to Croatia to spend summer vacations with her grandparents, in the village homes where her parents were born, deepened her love for the Croatian people and the beautiful country they come from. Ann began playing tamubra in the 4th grade, under the direction of Don Lipovac, with the St. John Tamburitzans. 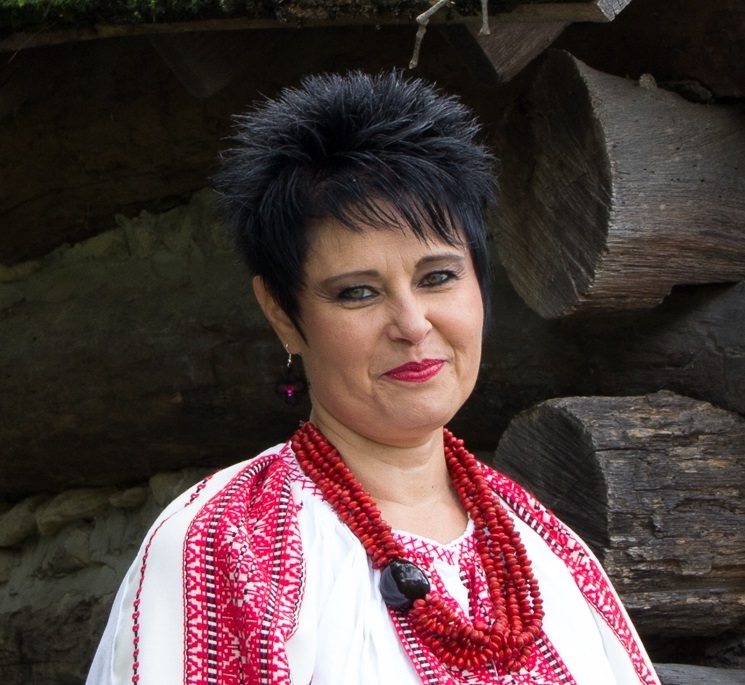 Performing music & dances from the regions of Croatia and making lifelong friendships with her fellow members, instilled a strong loyalty to keep the music alive for future generations. The culmination of all the practice and hard work paid off with a group trip to Croatia performing in various villages & towns, with the most memorable being in Stari Grad Ribnik, seeing her grandma and grandpa proudly rooting her on. 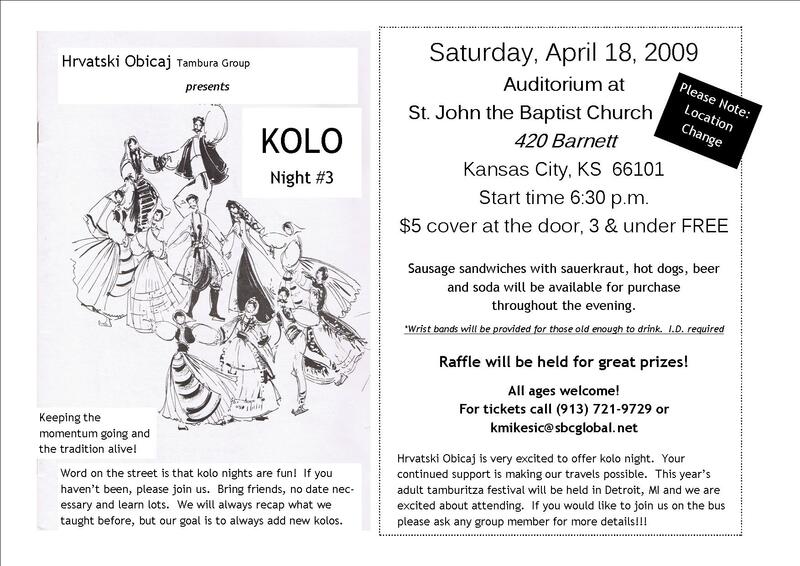 She left the group to go off to college, but remained active in the Croatian community; being voted Miss Croatia-Kansas City in the local ethnic pageant. After college, she spent an unforgettable summer in Croatia living the language, history and culture. 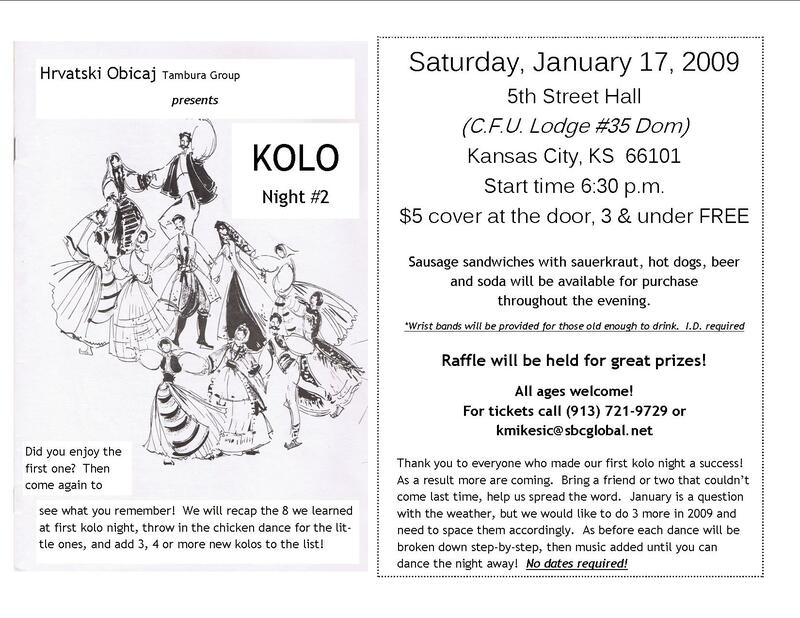 She is a current board member of the Croatian Council of Kansas City and various local Croatian organizations, helping to promote and preserve all the wonderful things Croatia has to offer. 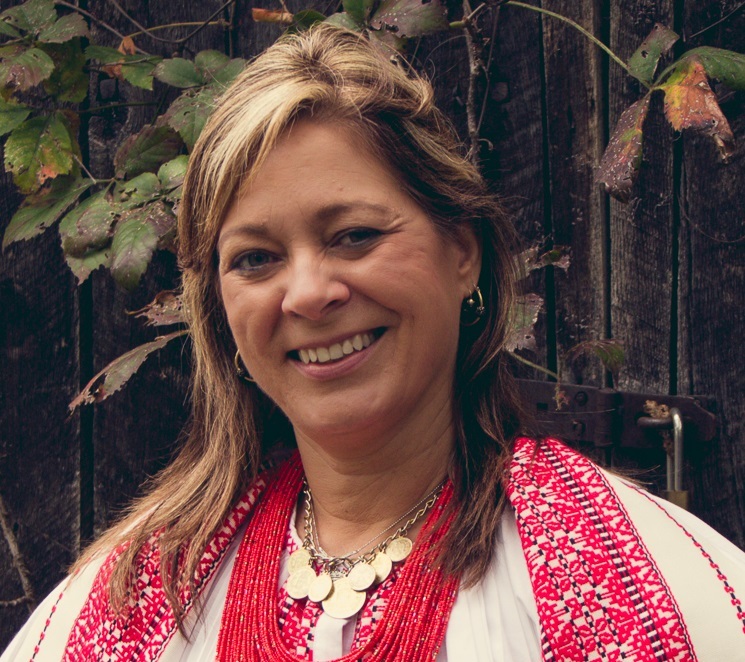 As a self-proclaimed ambassador of all things "Croatian", she is proud to be a founding member of Hrvatski Običaj, which strives to keep our culture alive through the music and dances of the homeland. John’s family roots trace back four generations in the Strawberry Hill Croatian community. He credits his love for the tambura music to his parents and his aunt. 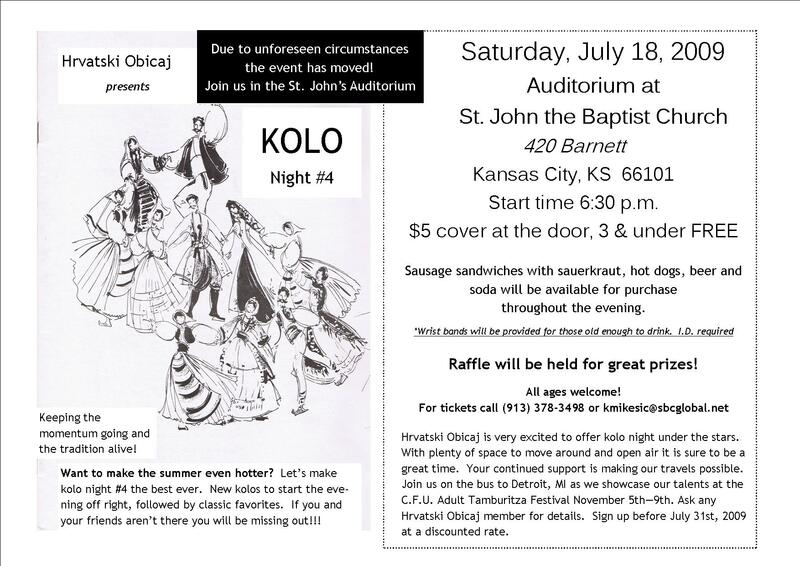 His father, John Mikesic, and his aunt, Mary Ann Mikesic, were both longtime members of the Kolo Club, a Croatian folk group who performed on Strawberry Hill and around the community, in their youth. His mother Paula spent countless hours volunteering her time in helping St. John’s Junior Tamburitzans during its existence. It is obviously clear that tambura music has always been a family affair for the Mikesic family. 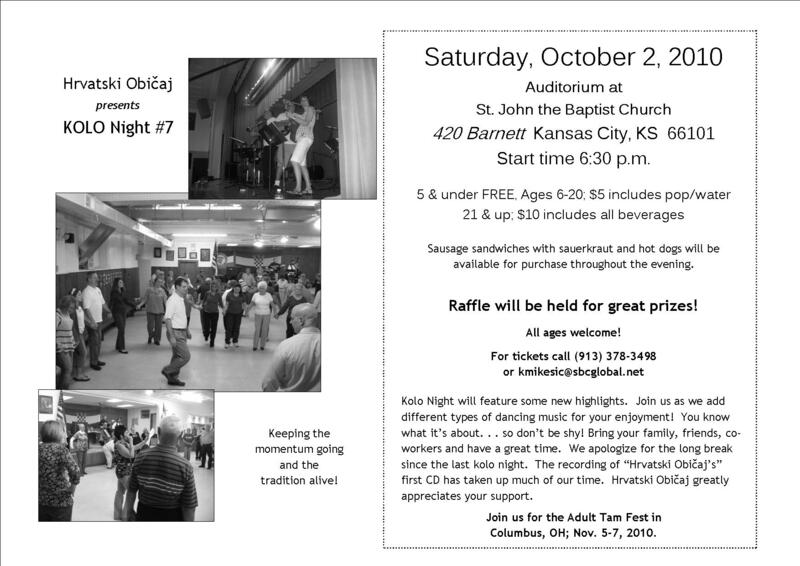 It continues today with Hrvatski Običaj! 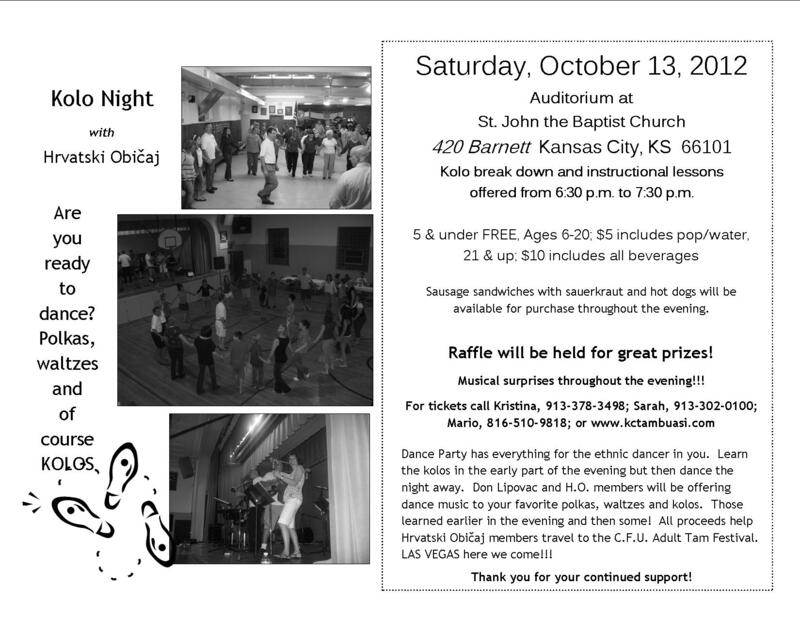 John's brother, Rick, is the Director of Hrvatski Običaj and his sister-in-law, Kristina, is a fellow performer. He also relishes the fact that his wife, Beckie, and daughter, Sarah, are one of the many people who support our group. 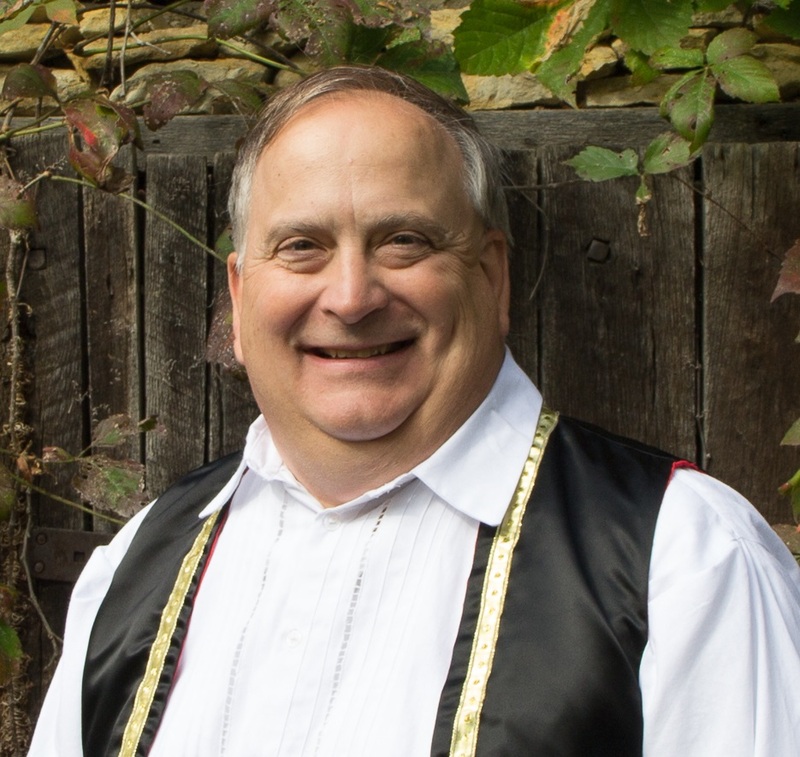 John feels that it is a privilege to have been tutored by Don Lipovac, who served for decades as the director of Saint John Tamburitzans, the junior tambura group in Kansas City, Kansas. Starting in fourth grade, John was a member of the Saint John’s Tamburitzans until he left to attend college and focus on his professional career. While away from the Tammies, he always cherished the memories of the various performances and trips with the Junior tammies. When the opportunity to play with Hrvatski Običaj presented itself, John was eager to jump back into tambura lifestyle. This is John’s second tour of duty as a Board member of the group. He is honored that the group has nominated and approved him to represent Hrvatski Običaj! It has been a great journey and he looks forward continuing to share the stage with family and long-time friends who share the same passion for the Croatian culture and music! Rick started playing the tambura at age nine, when he first joined the Saint John Tamburitzans, the junior tambura group in Kansas City, Kansas. After just two years learning his way around the instrument, he became a part of the performing group. He fondly recalls the many performances and trips the group took, with the highlight of his young career being a three week tour of Croatia and Slovenia to perform. His knowl­edge of music is largely due to the nationally renowned Don Lipovac, who served for decades as the Musical Director of the junior group. After spending so much of his youth learning from Don, as an adult he returned as a guest performer on a regular basis. 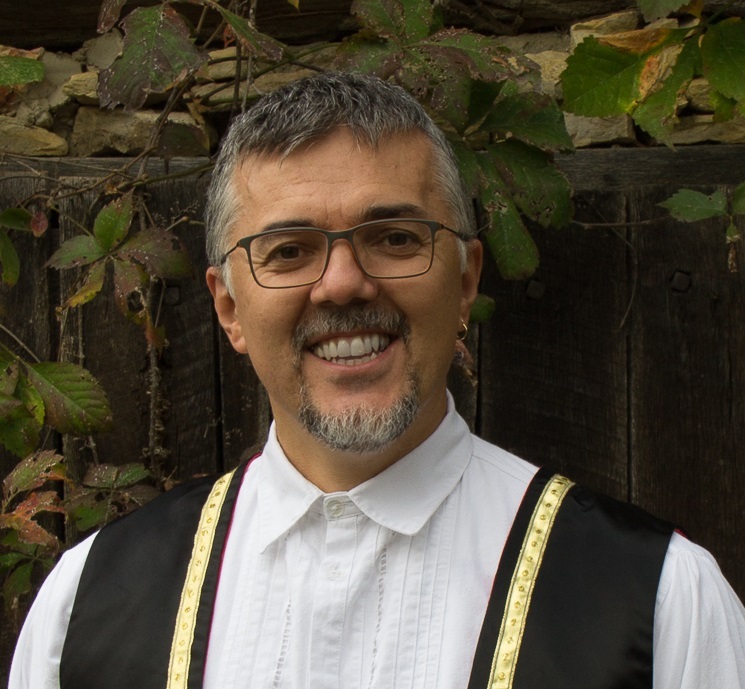 In addition, he was also a member of a local tambura band, Živili Hrvati, during the 1990's. 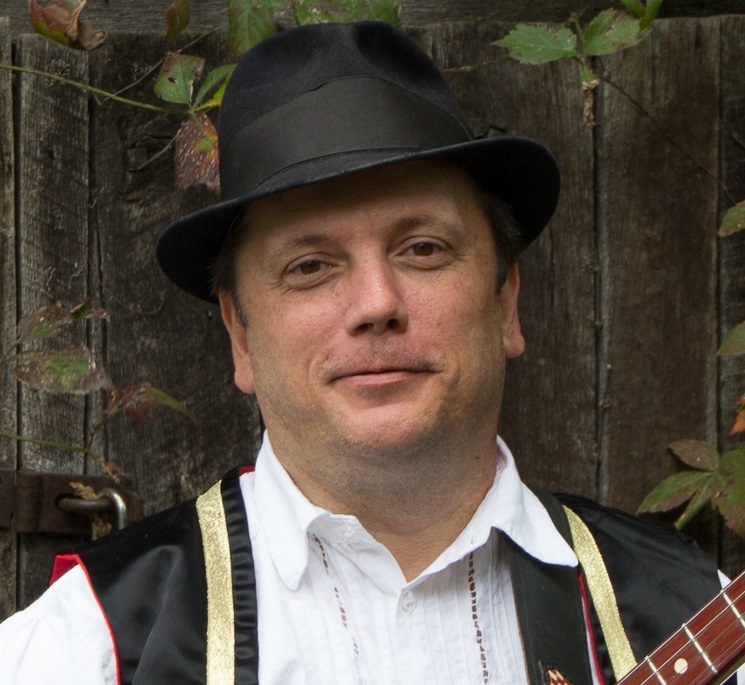 After more than a decade of being absent from the tambura scene to start a family and focus on a career, he jumped at the chance to once again play the tambura when Hrvatski Običaj began to come together. He credits the success of the group to the many dedicated members that share the love of the tambura music and the desire to "have fun". 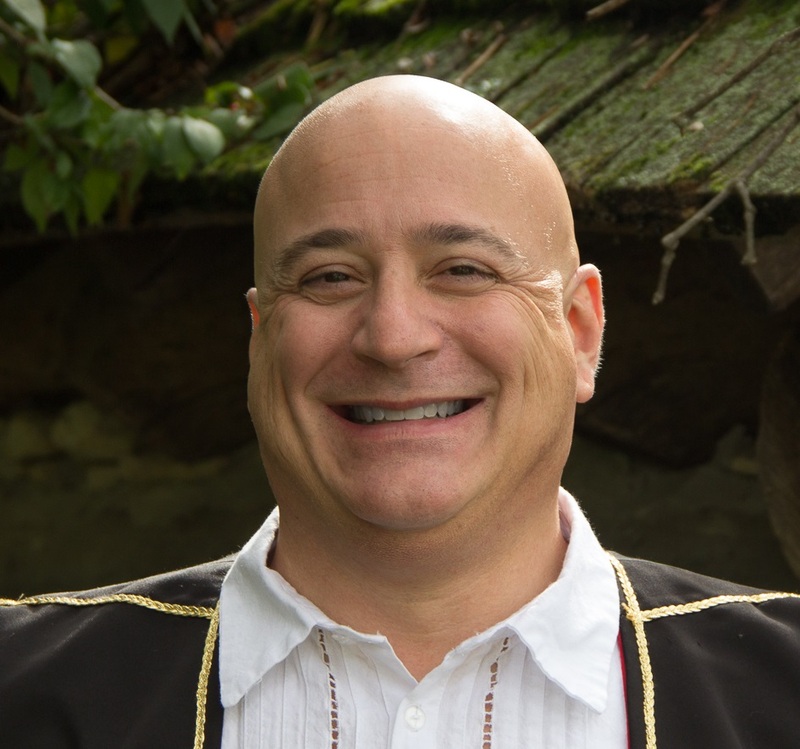 He's experienced immense joy in performing across the Midwest with Hrvatski Običaj and considers the recently released CD as a watershed moment for the group. He looks forward to many more years of playing the music he loves so much. 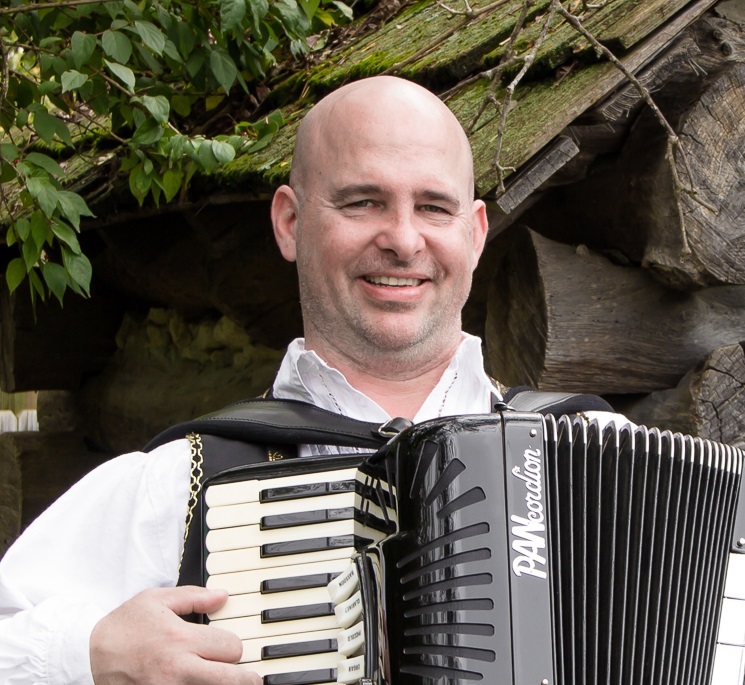 Jim began accordion lessons at age five. At age 10, under the direction of Don Lipovac, he began learning the tambura and joined the Saint John Tamburitzans. During that time his interest in the accordion was renewed and he furthered his studies with Don. In high school, Jim joined the Sumner Academy Symphonic Orchestra as a string bassist. As a senior, he auditioned for the Duquesne University Tamburitzans and the School of Music in Pittsburgh, Pennsylvania, where he was accepted. Jim credits Don Lipovac and Alfred Vacca with providing the instruction and inspiration to excel. 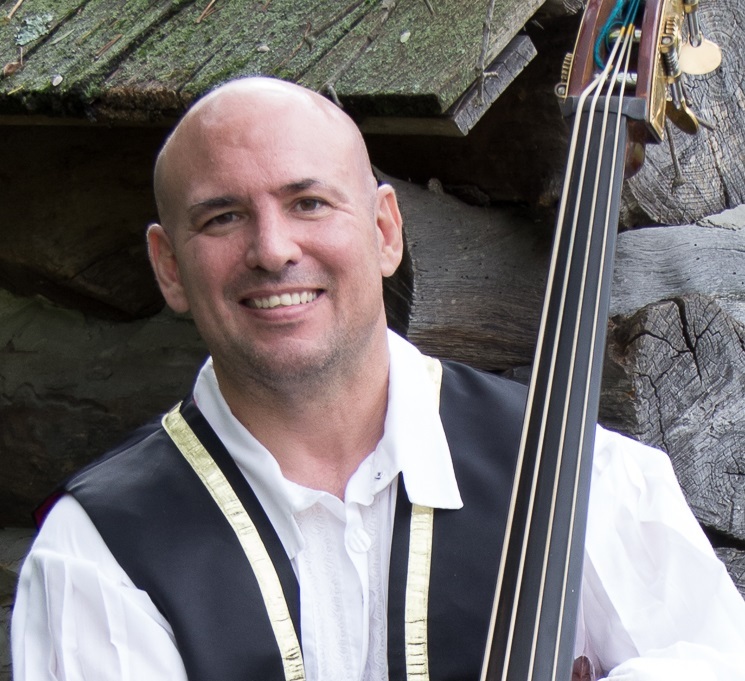 After graduating from Duquesne with a BS in Music Education, he returned to Kansas City, Kansas and taught music in four local school districts. 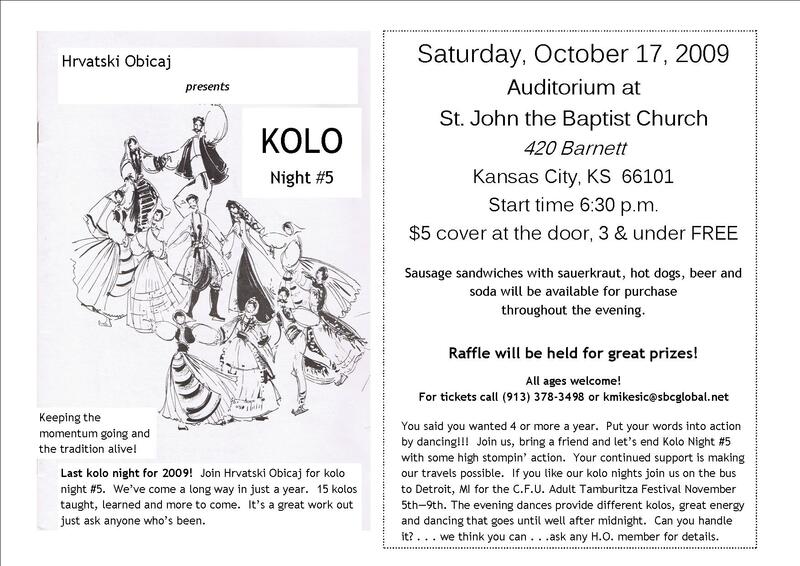 He also assisted Don Lipovac in instructing music and dance with the Saint John Tamburitzans. He arranged music for the Saint John Tamburitzans and Živili Hrvati in which he was also a member. Currently, Jim is the Assistant Director of Hrvatski Običaj and arranges selected music for the orchestra. Jim plays accordion and fills in on other instruments where needed. He is the proud dad of three children when he isn't playing music or working. Mario came to the US in 2000 as a refugee from Bosnia with his pregnant wife, Ivana and son, Lukas. Having been on the front line as a soldier during the Homeland War in the early 1990s, beginning in a foreign country was daunting but not as difficult as his time at war. Like most other immigrants and refugees they had a hard time adapting to a new community. 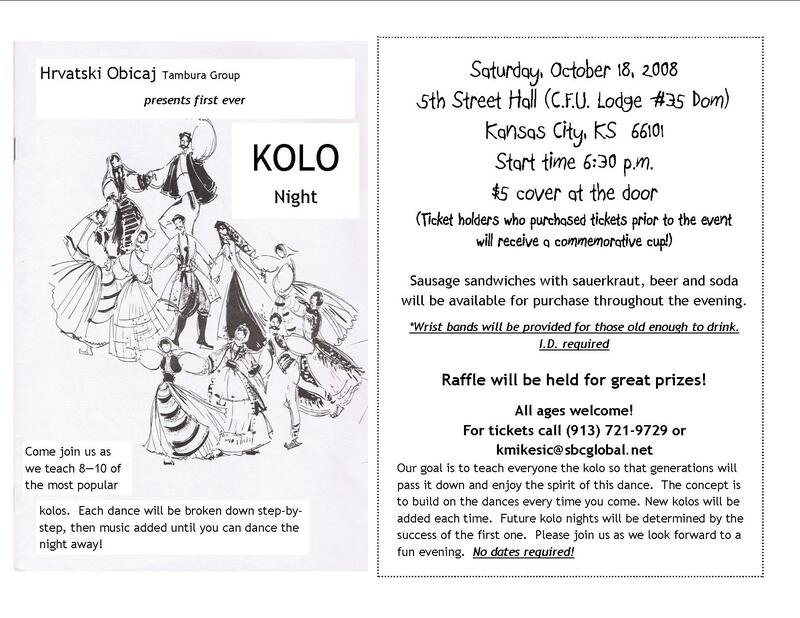 But with the help of a rather large Croatian population in Kansas City, Kansas and Croatian Fraternal Union #35 many made the transition a little easier. This community allowed him to embrace his Croatian heritage and love of music which has always been a part of his life. As a young boy, he was a part of "Hor 57 djevojčica i dječaka", a group of children who performed choral arrangements throughout his city of Bugojno, Bosnia & Herzegovina and the former Yugoslavia. In 2006 when Rick and Kristina presented the idea at a CFU meeting that they would try to start a tamburitza group again, Mario quickly made his decision to join them. He was excited and thought to himself: "Finally, there is 'live' Croatian music going on around here". Even though he wasn't into tamburitza music as a child or young adult, and only played guitar and never played tambura, the love and passion for Croatian music was strong. Since arriving in the US he truly missed "our" music and being able to participate in something like this pushed him forward to join those great musicians of the former Saint John Junior Tamburitzans. Playing guitar and singing makes him excited and happy. It's like being back in the old country. Bringing to life all that music is a great feeling. Four years later, he has made friends with all the members of the group and they enjoy every practice and performance, especially when Sljivo is floating around. He thanks his lovely wife and children (Lukas, Nikola and Martin) for being patient with him and all the time he spends away from them. Unfortunately, anything good requires hard work and in order to make Hrvatski Običaj what it is today there has been some hard work along the way. He is very happy to be a part of this group and hopes we will leave a mark in the community as we continue to preserve the passion of our Croatian culture for many generations to come. Photos courtesy of Don Wolf and SNAP Photography. © 2009–2019 Hrvatski Običaj — Valid HTML and CSS — Živjeli!